The American College of Greece | Thank you London Academy of Music & Dramatic Arts! Home » Why Give » Gifts of Note » Thank you London Academy of Music & Dramatic Arts! Thank you London Academy of Music & Dramatic Arts! 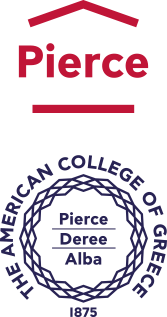 The American College of Greece (ACG) is deeply grateful to the London Academy of Music & Dramatic Arts (LAMDA) for generously providing two scholarships – one to a Deree student and one to a Deree alumna from the Frances Rich School of Fine & Performing Arts, (FRSFPA) – worth £20,000 – to study a short course at LAMDA. The extensive scholarships covered not just the course tuition, but also stipends taking care of the students’ accommodation, food and personal expenses, inner city travel, flights to and from London, travel and health insurance – as well tickets for performances and exhibits in order to further enhance their learning experience. Deree music major Daphne Gerogianni and music performance 2018 graduate Melia Tsoutsia were very excited to receive the two LAMDA scholarships to attend the inspiring courses in London. 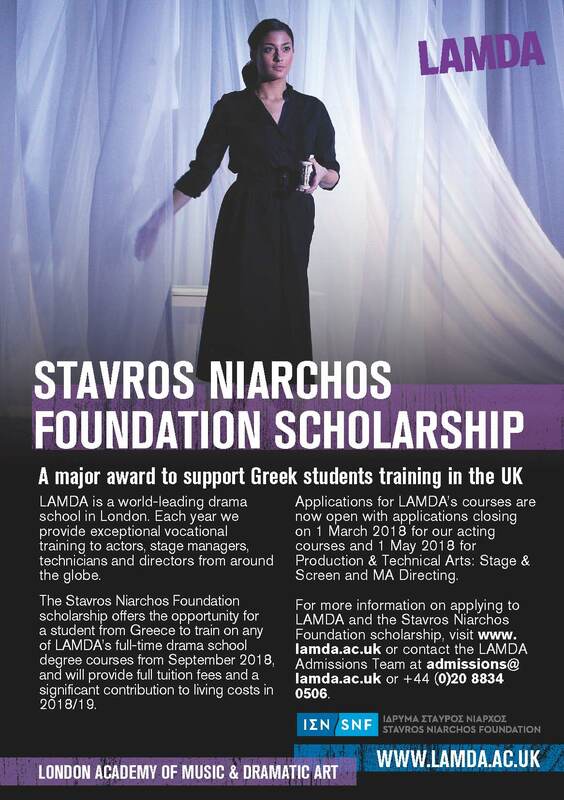 These scholarships were also made possible by a generous grant that the Stavros Niarchos Foundation (SNF) provided LAMDA, which in turn chose to use these funds to generously support the two FRSFPA students/alumni to study at LAMDA. Both LAMDA scholarship recipients wax lyrically about their LAMDA courses and express their gratitude to both The American College of Greece and LAMDA for the opportunity to study the short courses at LAMDA on full scholarships. Daphne enthuses how she learned a great deal on the course, which focused on acquiring the practical skills necessary for an actor to enter the challenging and demanding worlds of the television and film industries. “Working both one-to-one and in small groups, we explored a variety of roles, and learned how to interpret a screenplay, develop credible characters, and also how to break down a scene from the perspective of both the actor and director, while we also learned editing and post-production skills”. Fellow LAMDA scholarship recipient Melia Tsoutsia, a 2018 Deree Music Performance alum, who graduated with distinction, (and is also a Pierce 2013 graduate) has consistently earned top marks in her studies and is known for her strong work ethic, high acumen, impressive talent and winning personality, according to her tutors at FRSFPA. As a vocalist, she has studied and performed a wide range of musical styles from classical to modern – including musical theatre. She is truly gifted, with a charming stage presence, an expressive vocal and theatrical quality, with strong academic and writing skills to boot. 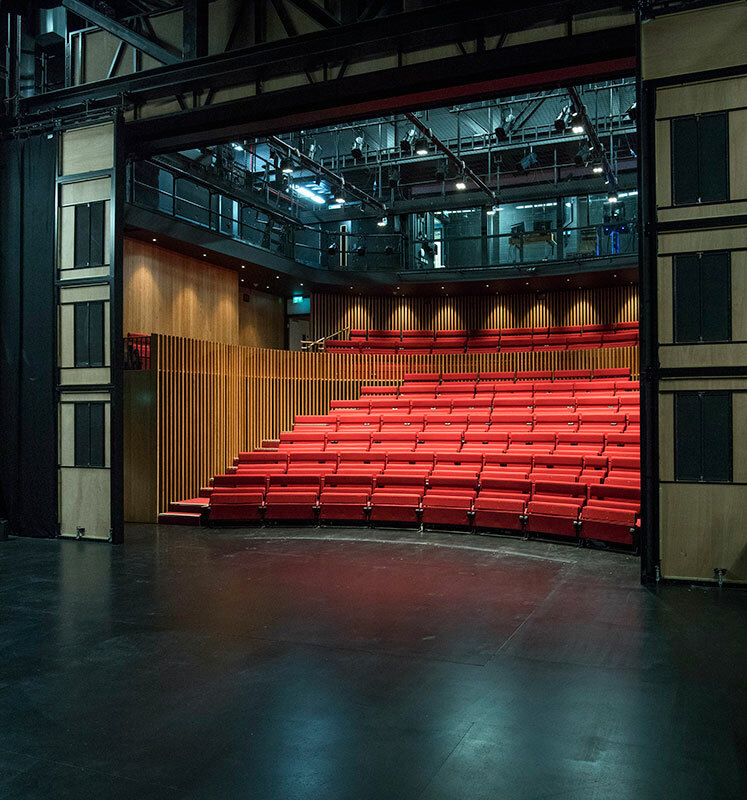 Melia raves about the LAMDA Semester Program in Classical Acting she took in the Fall of 2018 – an intensive burst of British conservatoire training for UK and international students centered on Shakespeare’s late plays and comedies and Jacobean tragedy. Melia also enthuses on the most unique aspect of the experience – “the feeling they create in you that we are an ensemble…through acting exercises, we were forced to understand each other more and develop our emotional intelligence, which has to be intact if one wants to become an actor.” Melia adds that “LAMDA challenges you to rediscover your imagination by giving you so much stimuli through their courses, that it opens you up to seeing and searching for what is blocking you and getting in the way of your acting, offering you an extraordinary set of tools that you can take with you…I recommend it to people who love art and believe in art …LAMDA exceeded my expectations of what can be achieved within four months from a non-actor student. I feel like I know and understand Shakespeare that much more now; I did not expect that we would touch upon different acting techniques and methods such as those of Stanislavsky, Strasberg and Meisner, or Alexander F.M. and Rudolf Laban and apply them on Shakespeare. LAMDA has brought me back in touch with my imagination, the experience of the moment, and belief and trust in myself,” she concludes. Thank you London Academy of Music & Dramatic Arts (LAMDA)!